On Saturday, Dane van Niekerk, the captain of South African ladies cricket team, got married to her teammates. Marizanne Kapp who is fast bowler all-rounder. They both made their international debut in the 2009 Women’s World Cup inside a gap of only 2 days. Dane van Niekerk played her first international match against West Indies on March 9 while on March 10, Marizanne Kapp made her debut against the Australian side. Prior to these two, New Zealand ladies cricketers Amy Satterthwaite and Lea Tahuhu got married a year ago. 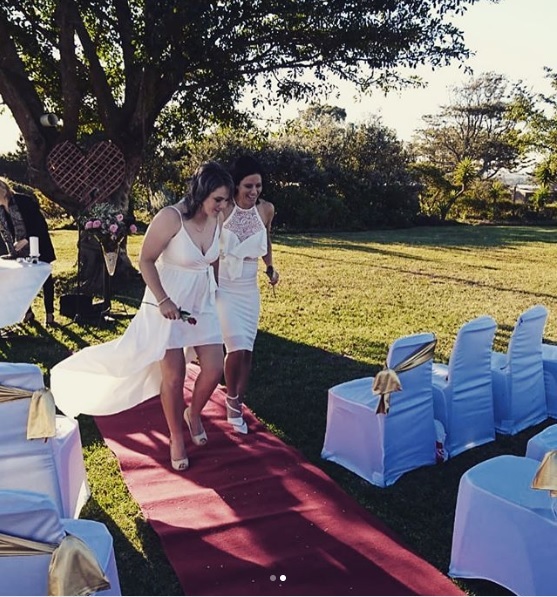 The declaration with respect to their wedding was made by Marizanne Kapp on her Instagram account and it is being said that the majority of the South African ladies cricketers graced the occasion. These two are important players of their side and have proved their ability with both bat and ball in every one of the formats. Together they both have played in 82 ODIs and 56 T20Is and they both are the initial two girls who joined the kid’s cricket academy.